Hair Loss and Erectile Dysfunction Pills Have a New Look. 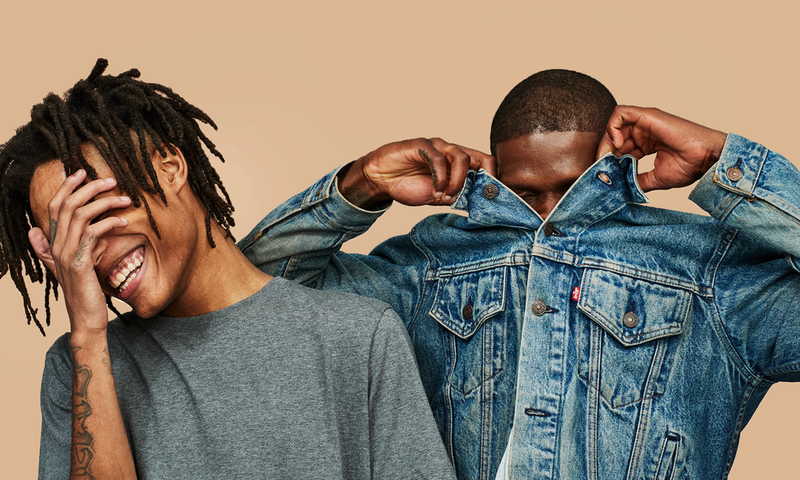 This preventative care brand believes that men can look and feel their best all the time, and they’re wanting to normalize issues that men deal with but are often too embarrassed to talk to their doctor about—such as hair loss or erectile dysfunction and skin care. 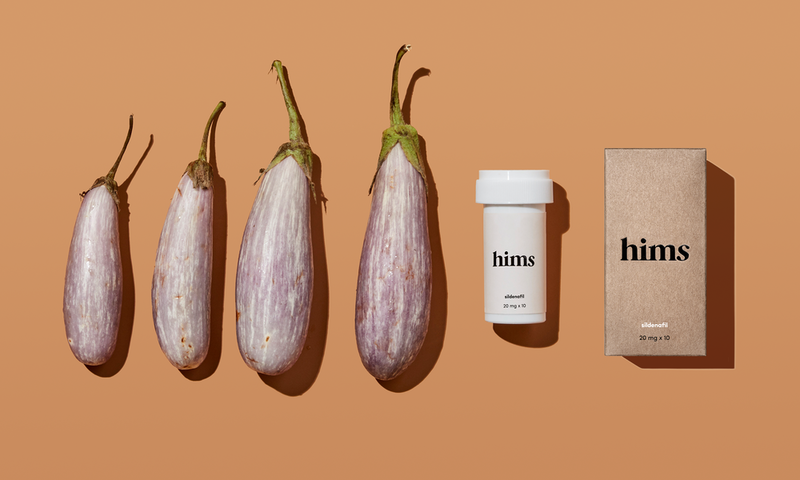 Subtle and classy—the packaging is something that consumers won’t feel the need to stash away in the deepest, darkest corners of their medicine cabinet. 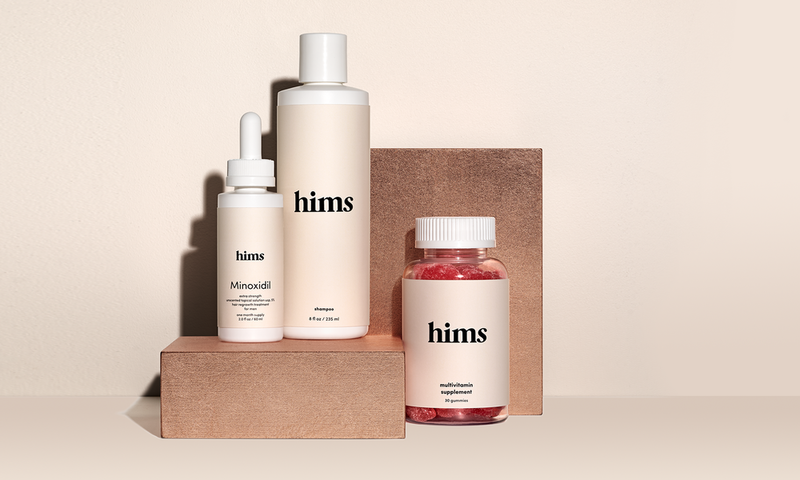 Pill bottles come in a small brown box, highlighting the natural ingredients used, and the main attraction is the brand name in a simple serif font. It doesn’t feel overly medicinal, and it definitely doesn’t ooze masculinity. By embracing the health aspect, it simply feels like any other vitamin or supplement someone might take. 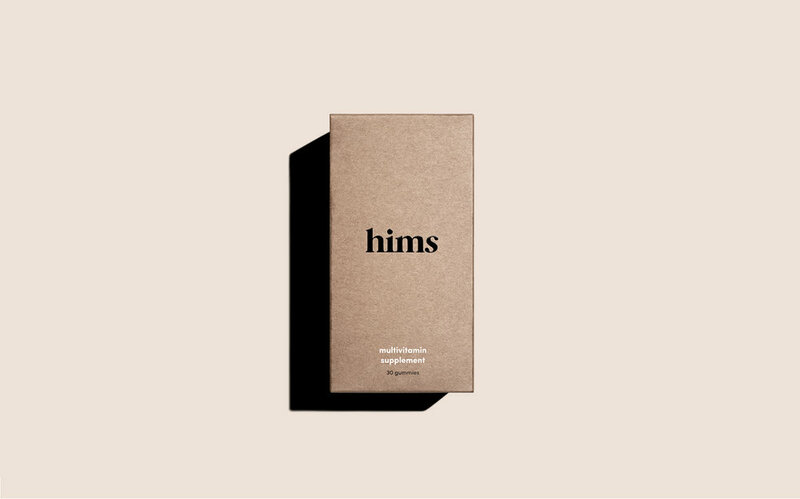 Hims company plans to continually release new products, and they’re designed to both be discrete and look good together in your bathroom. We put careful thought into details like materials and colorways. 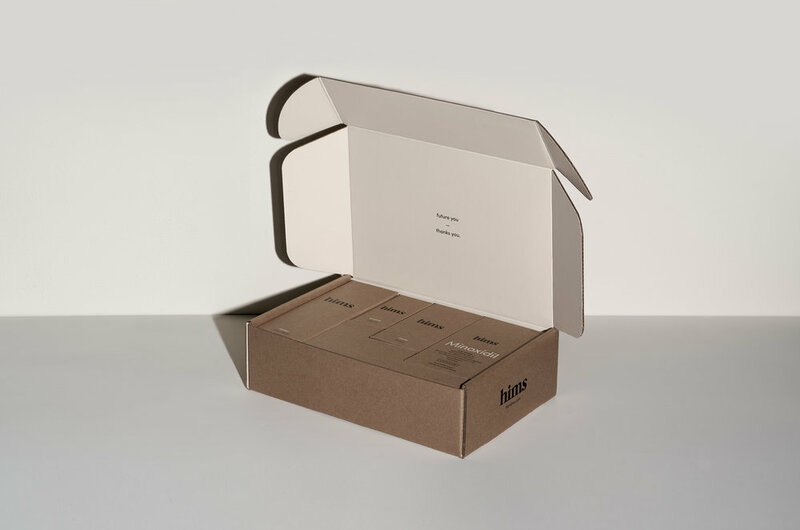 Our design team specified raw cardboard for the packaging; it’s cost-effective and looks nice enough, but isn’t too precious. Because of labeling regulations for pharmaceuticals, the names of some medicines–like Minoxidil–needed to be the largest words on the packaging. 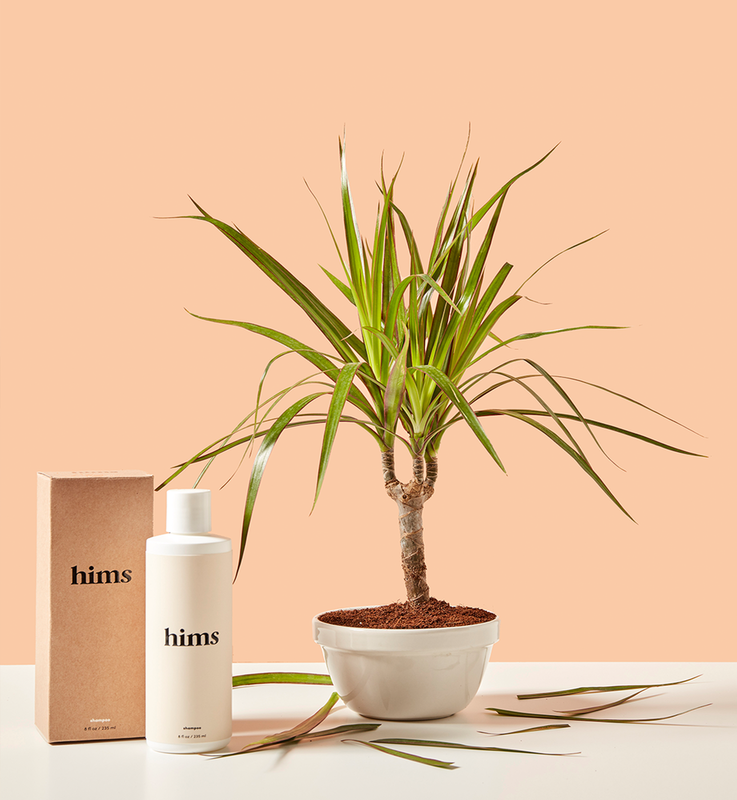 Branch’s simple, type-based labels ensure that Hims’ products retain visual consistency while adhering to the law on disclosure. Because of labeling regulations for pharmaceuticals, the names of some medicines–like Minoxidil–needed to be the largest words on the packaging. 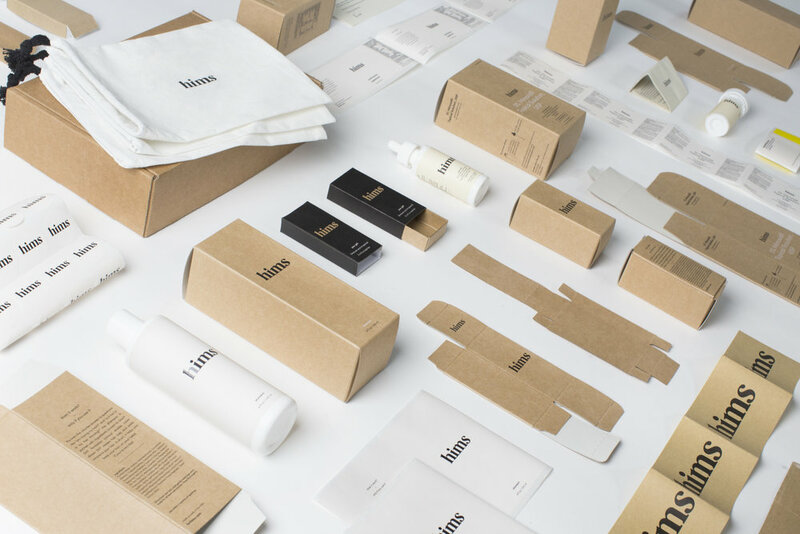 Branch’s simple, type-based labels ensure that Hims’ products retain visual consistency while adhering to the law on disclosure.